Semi Deluxe Room is the perfect pick for business or leisure travellers who are looking for a budget friendly choice of accommodation with superior facilities. 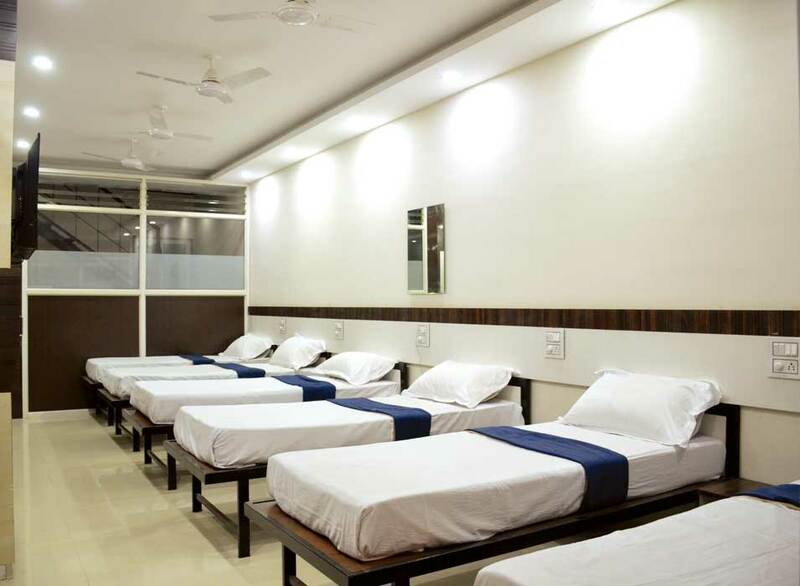 Choosing a Semi Deluxe Room could be a great retreat for you as you would love to make a visit to Kolhapur and have your wonderful and peaceful stay in a highly spacious and modern decor rooms. 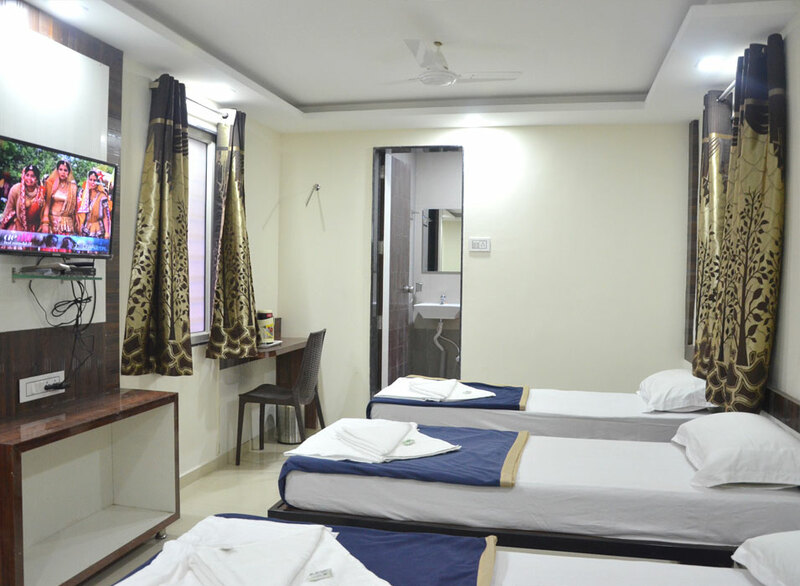 The well-furnished rooms at Hotel Royal Treat come with Full Air conditioning, a 32″ LCD TV, dressing Table, Study Desk and clean and spacious common bathroom. AC Deluxe Room at Hotel Royal Treat offers ultimate luxury and comfort at very affordable prices that fits everyone’s budget. 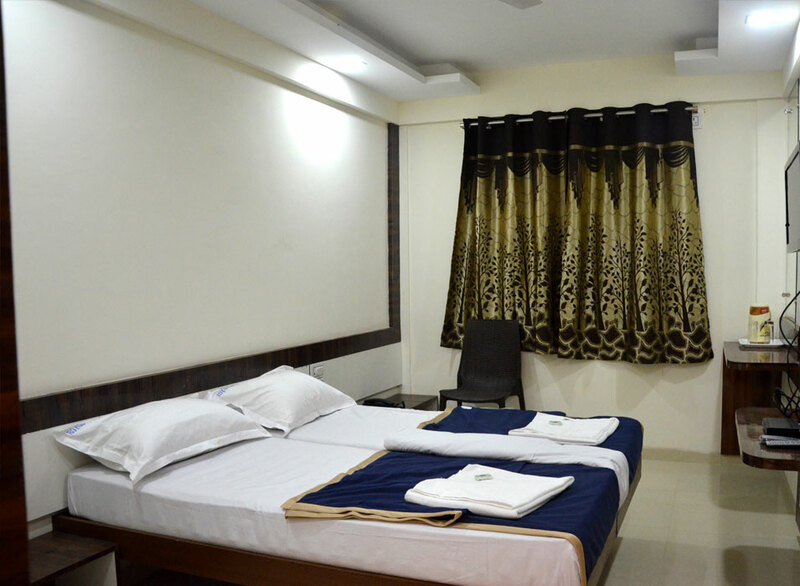 Choosing a Deluxe Double Room Could be a great retreat for you as you would love to make a visit to Kolhapur and have your wonderful and peaceful stay in a Highly spacious and modern decor room. The well-furnished rooms at Hotel Royal Treat comes with Full Air conditioning, a 32” LCD TV along with Soft 4” mattress for a comfortable night stay and attached spacious and clean bathroom, Study Desk and a Dressing Table. Deluxe Room at Hotel Royal Treat offers ultimate luxury and comfort at very affordable prices that fits everyone’s budget. 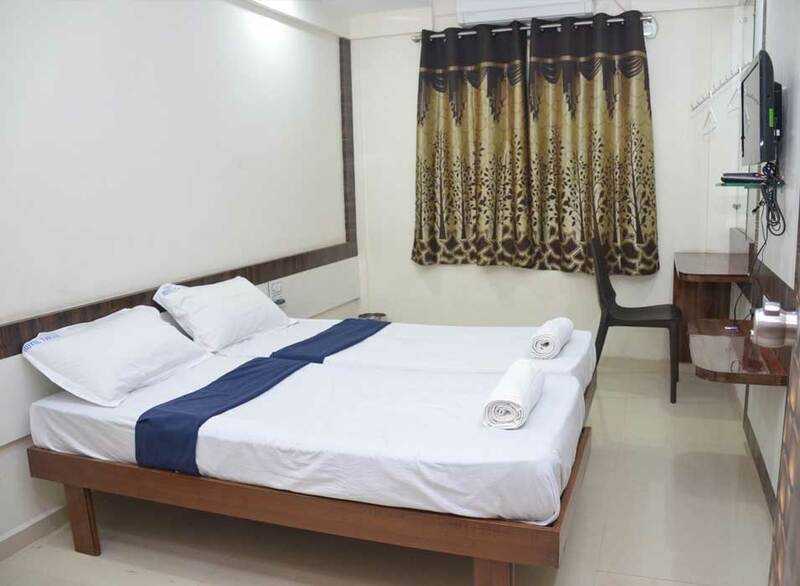 Choosing a Deluxe Double Room Could be a great retreat for you as you would love to make a visit to Kolhapur and have your wonderful and peaceful stay in a Highly spacious and modern decor room. The well-furnished rooms at Hotel Royal Treat comes with Full Air conditioning, a 32” LCD TV along with Soft 4” mattress for a comfortable night stay and attached spacious and clean bathroom, Study Desk and a Dressing Table. Family rooms are specially designed for families, Rooms having Extra Large Space and with an easy occupancy of 4 and more. Extra comfortable bedding for all on 4” Mattress and provided with 32″ LCD TV, opening windows, ceiling fans, attached with modern and clean washroom with all free toiletries like Shampoo and bathing soap. 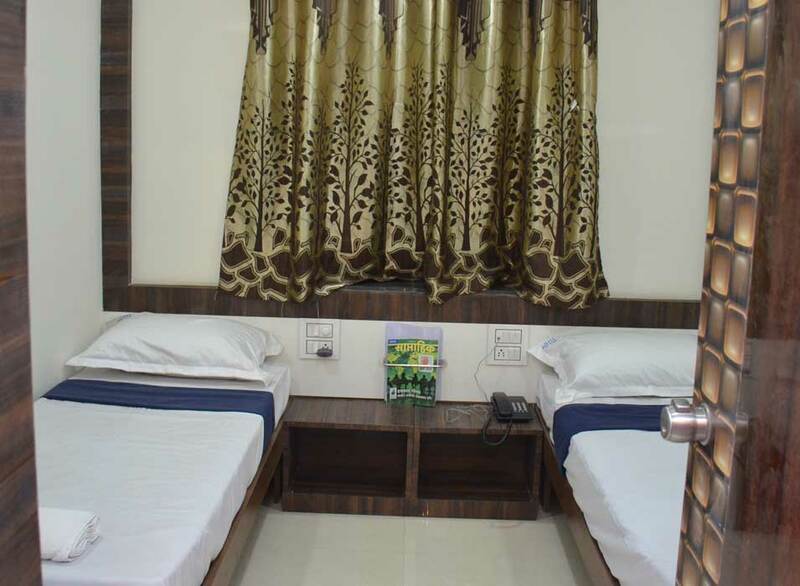 Dormitory rooms are Specially designed for single or group travellers looking for budget accommodation. Our dormitories have an easy occupancy of 6 people. Extra comfortable bedding for all on 4” Mattress with common washroom facilities with all free toiletries like bathing soap. For online transactions please enter your Name or mobile number in the Transaction Remarks field.